The BoLS crew takes a look at the Flames of War 4th Edition Rulebooks! 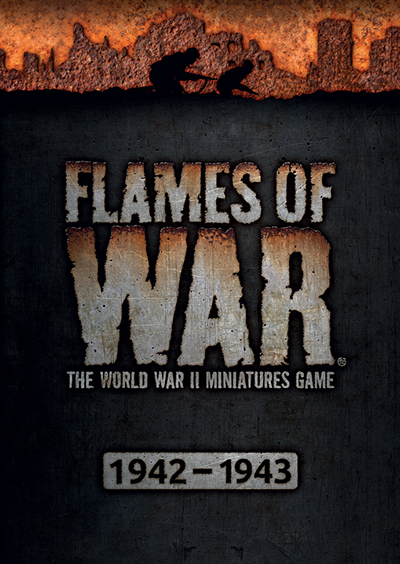 Since it’s release in 2002 Flames of War has been the most accessible and popular World War II historical miniatures game. From the Fall of France, to the Finnish Winter War, the games covers the major, and minor, conflicts of the Second World War in detail. Though accessible in terms of other historical games, FoW’s commitment to detail and accuracy has meant that it’s rule set has often still been dense. The new Forth Edition of the game aims to change that up presenting a streamlined version of the rules. Let take a quick look at what’s changed and what’s stayed the same. The new rule’s are about a third the length of the older editions, representing a major move to streamlining and simplifying rules. While most of the key aspects and important facets of the game have been preserved they are now represented by more clearly written rules. The resolution of most effects and phases in general is shorter, tighter and easier. Despite this the tactical complexity of the game has been retained and the game is still at heart what it was before. The move from unit stats to cards also presents players with easy to see and find understandings of what their units do and how they can act. Unit cards are a staple of many modern games and Flames of War’s move to them shows that even an old historical game can embrace the modern. Overall expect a lot of changes to simplify and improve clunky aspects of the games while still keeping it’s depth. The playing the game is now more like driving a reliable Sherman then the King Tiger of old. One of the things the Flames of War team has been committed to is not invalidating your units or armies during the transition. Currently only a limited number of Mid-War books that detail the armies and forces involved. To remedy this Battlefront, the company behind Flames of Wars, has released a number of stop gap books that show you how to convert your old army-lists and units over into 4th Edition. These it appears will be valid until replacement books are released. So for now you need not worry about your French Early War Infantry, or your late war Romanians, all are legal and valid in this wonderful new edition. 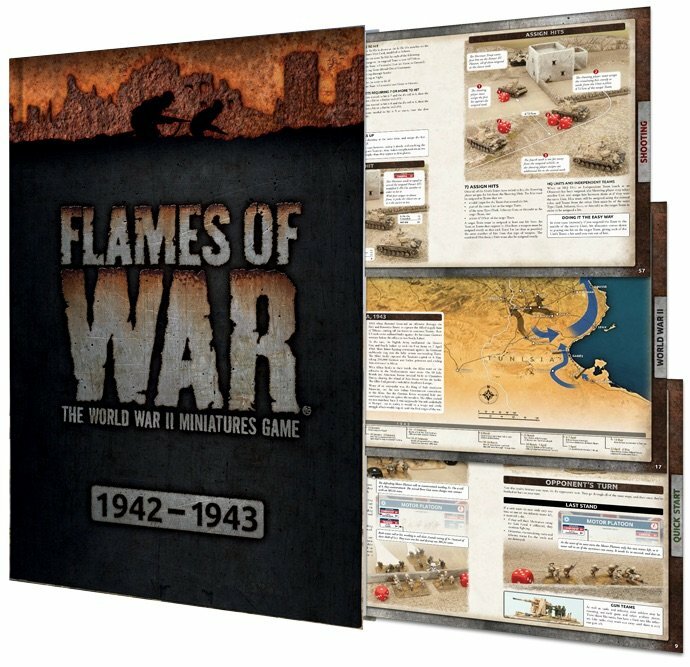 Flames of War 4th Edition is a large departure from previous editions. A major push to streamline and improve the game, as well as to make it more accessible has paid off. The new edition is the perfect time for new player to try out the game, or form old players to get back into it. The quicker easier rule-set is great for all skill levels. Now if the perfect time to marshal your tank squadrons, paint up your paratrooper platoons, and assembly your conscript waves. This new, leaner and modern version of the game will be sure to spread the flames of the world war to a table top near you! This new rulebook has slimmed down by reducing the amount of unnecessary flavor text around the rules, and by dropping large numbers of special rules in flavor of just stating their effect on the relevant unit cards. To a New Yorker like you, a Hero is some type of weird sandwich, not some nut who takes on 3 Tigers.